If you’re in the market for a scale, you’re likely facing the difficult decision of choosing a manufacturer that offers the most features at a cost that is well within your budget. You don’t want to spend too much on a scale, but you also don’t want to skimp and end up with a scale that will not last and could be fraught with problems. As a leader in the design and manufacturing of industrial scales for more than 30 years, Arlyn Scales has developed a variety of features that allow us to separate ourselves from the competition. These cutting edge scale features all come without significant markup, and in some cases when you pay click this quick cash direct lender, at a lower price tag than what our competitors charge for their standard scales. Take a moment and read through some of the reasons why our clients continue to look to Arlyn when it comes time to replace their industrial scales. Ask any scale expert to identify the most important component of an industrial scale and they’ll likely tell you the load cell. A load cell, which is often called a spring element, is a transducer that converts force into an electrical signal. Many scale manufacturers will cut corners by machining their load cells out of steel or aluminum; whereas at Arlyn Scales, we manufacturer load cells out of stainless steel. 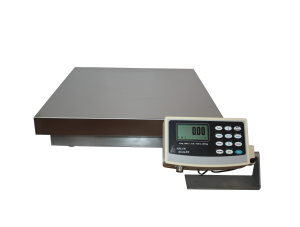 Using stainless steel allows us to create an additional layer of durability to our scales, which is not often seen in the scale industry. While other manufacturers may beef up other components in their scales to make up for the deficiencies in load cell material, few offer stainless steel load cells. By manufacturing our scales out of stainless steel, we help to cut down on damage from shock loading and overloading, which is commonplace in the scale industry. In addition, stainless steel is simply much more durable than the aluminum and steel used by our competitors. A product is only as good as the company that stands behind it. At Arlyn Scales, we’ve been a fixture in the scale industry for more than 30 years. We’re still located at the same facility in New York, where we’ve been designing and building high quality industrial scales for decades. Should you run into any issues with your scale, or have questions about any of our product lines, feel free to reach out to us by phone or email and we’ll follow up as soon as possible. When you’re working with our team, you are communicating with the very people that likely designed and built your individual scale. This offers a level of attention to detail unheard of in most manufacturing industries. It’s this level of detail that helps to ensure our clients’ needs are always met. As mentioned above, our factory and business offices are located in Long Island, New York. This allows our team to be intimately involved in the design and manufacturing of each one of our scales. Unlike many of our competitors, we’re committed to manufacturing our products right here in the US, where we can keep a close eye on every step of the manufacturing process. Another large benefit of our US based manufacturing approach is that it enables us to sell our scales factory direct to our clients. With no middlemen or national distributor network, we’re able to offer superior scales at competitive prices. If you’re looking for some of the most revolutionary technology in the scale industry, you’ll likely find it by researching a bit about our internationally patented Surface Acoustic Wave (SAW) scales. These scales work much differently than standard strain gage or force motor scales, by measuring displacement as opposed to stress. By measuring displacement, we’re able to manufacture our SAW load cells out of much thicker metal, which helps to reduce damage due to overloading or shock loading. Furthermore, our SAW scales are 10-20 times more accurate compared to strain gage scales and as accurate as force motor scales at roughly 1/3 the cost. When it comes to capacity, our SAW scales offer similar capacity limits as strain gage scales and far more capacity than force motor scales, which are usually only accurate up to capacities of 25 pounds or less. Another way that our clients have reported cost savings is through our setpoint controller. This controller allows clients to enter up to 8 weight values into the scale, which can then be used for various automatic filling options as well as basic PLC functions. Think about being able to send an electrical signal to turn a piece of equipment on or off when a scale reaches a certain weight. This is all possible with a setpoint controller from Arlyn Scales. Arlyn Scales offers a variety of protective coatings to protect a scale’s platform from rust or corrosion. Zinc Galvanized Epoxy – This epoxy comes standard on all of our steel platform floor scales. As opposed to many of our competitors who use something similar to a hardware store paint, that offers no protective qualities, our zinc rich epoxy makes it much harder to scratch the scale’s surface. Scratches will happen eventually and this epoxy will make it harder for rust to spread and will prevent it from spreading to other areas of the scale, unlike our competitors’ “protective” coatings. Triple Epoxy with Mica Particles – This extra layer of protection is available only on our stainless steel models. A garnet powder is mixed into the epoxy to provide excellent abrasion resistance. This epoxy makes our already extremely durable stainless steel platforms, even more corrosion resistant. We hope the variety of scale features outlined above will show you how a high quality industrial scale can actually save you money. For more information on our product line, feel free to reach out to our experienced team today by phone at 800-645-4301 or through our online contact form. Copyright © 2007-2019 Circuits & Systems Inc. Arlyn Scales. All Rights Reserved.